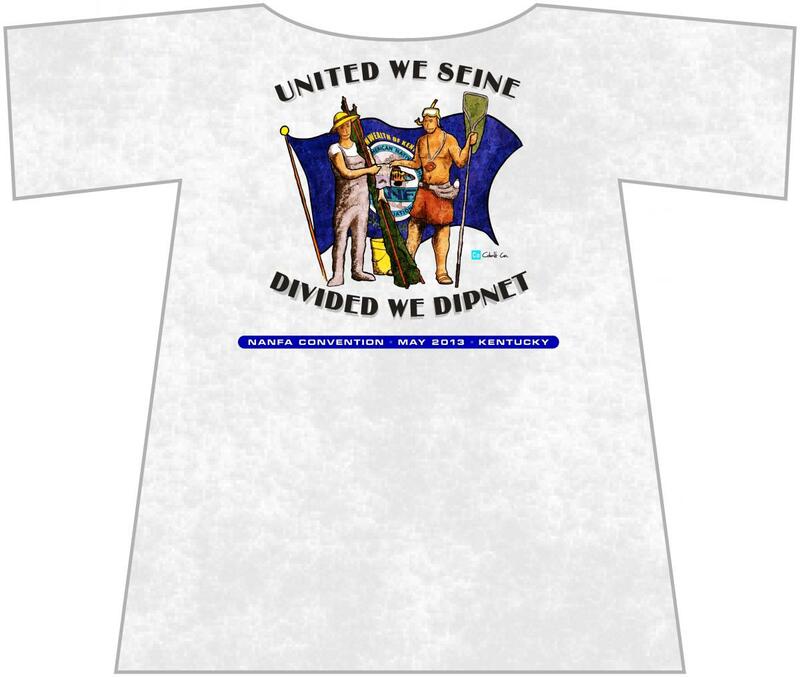 Designed by myself, these shirts feature the Kentucky Arrow Darter, skillfully illustrated by Dave Neely, along with a cleverly revised Kentucky flag, illustrated by my son Cobalt. 100% cotton, the ash grey shirts are $20 each plus $5 for packaging and postage, no matter how many you order. Shirt sizes are available from Medium to 3XL. The convention is from Thursday May 2 through Sunday May 5. Attendance offers an opportunity to see all kinds of interesting creatures in a beautiful region of our North America along with fishy fun, fellowship and a Kentucky cultural experience. Edited by Casper, 16 February 2013 - 12:33 PM. And I talked to Casper today... he has the shirts... so these are ready for ordering... getcha one! I'll be ordering mine soon. Go ahead and order a, shirt men and women of NANFA, help us promote the convention. 2nd batch of KY Arrow Darter shirts mailed yesterday! 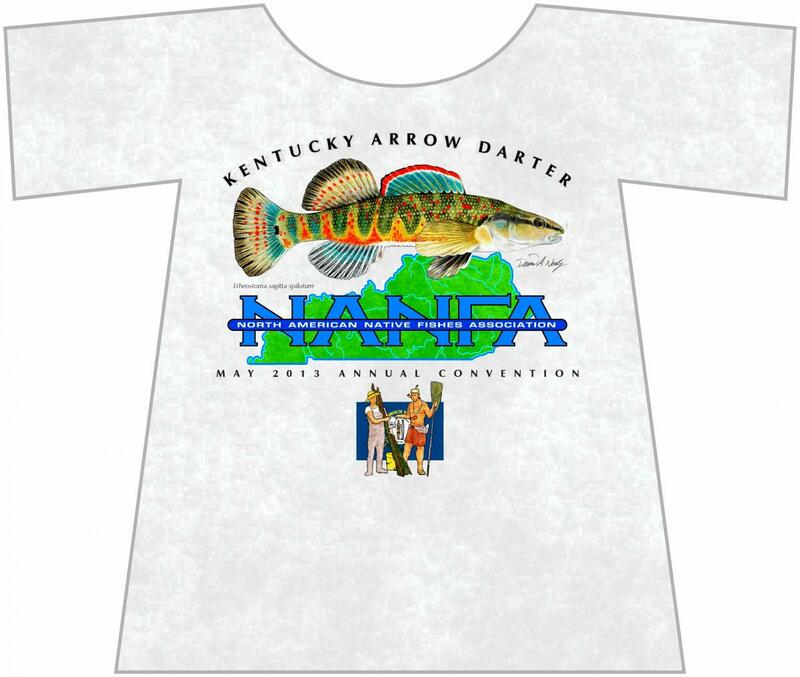 Promote NANFA and the upcoming KY convention. All proceeds after printing costs benefit NANFA's good works. Cobalt's flag spoof is hilarious (and elegantly rendered)! I predict it will become a fantastic conversation-starter (& hopefully not too many fights) at KY bait shops, river-banks, and bars for years to come. As always, a great job Casper. Love Cobalt's art. Bruce as well. I will pass your compliments on to Cobalt. request over for a long time, trying to make sense of it. We Fall". We have all heard that plenty of times. In past conventions i have had a bit of fun altering the state's motto to our activity. altered to "I Have SEEN The Beasts That Swim Below". fight, pretty clever and satisfied our host.